Our snow dumping facility has provisions in place to reduce and prevent groundwater contamination. Marsten snow dumping facility is approved and regulated through Ottawa Development Services. Marsten is a licensed snow plowing and snow dumping enterprise. 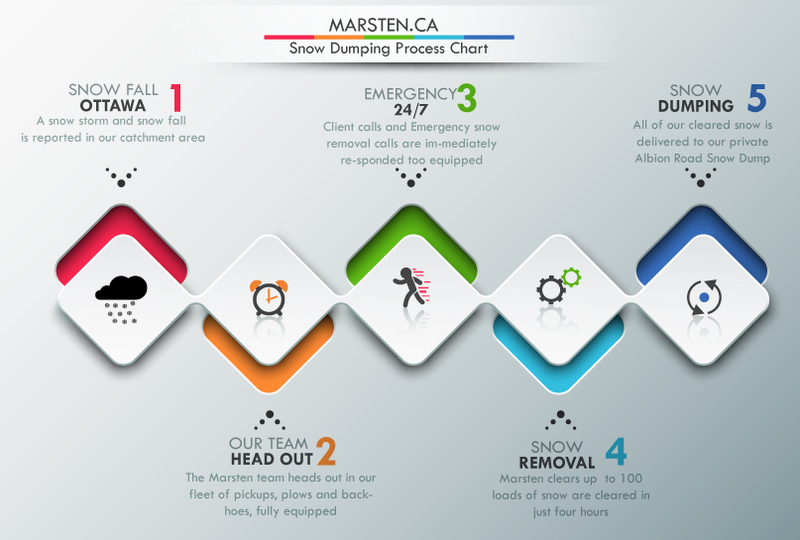 All of Marsten snow dumping business operations are in accordance with the Environmental Protection act, the Ontario Water Resources Act, the Environmental Assessment Act and the Planning Act. Marsten uses the highest-quality, top engineered snow dumping equipment, ensuring that even in emergency snow dumping situations, our team and machinery is prepared for anything. Please leave fill in the form below and we will get back to you as soon as possible.